From one of the most widely read authors in the world comes a story of breathtaking power and dazzling suspense about what it means to be fully alive. Jonathan Landry is a man in trouble. After a bizarre encounter with his lost cousin Julian Mantle, a former high-powered courtroom lawyer who suddenly vanished into the Himalayas, Jonathan is compelled to travel across the planet to collect the life-saving letters that carry the extraordinary secrets that Julian discovered. 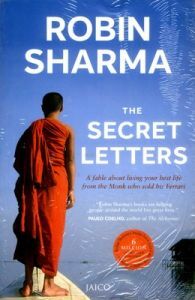 On a remarkable journey that includes visits to the sensual tango halls of Buenos Aires, the haunting catacombs of Paris, the gleaming towers of Shanghai and the breathtakingly beautiful Taj Mahal in India, the secret letters of the Monk Who Sold His Ferrari reveals astounding insights on reclaiming your personal power, being true to yourself and fearlessly living your dreams.